This WMF Vino Winged Corkscrew features a trendy design, with maximum functionality and ease in opening wine bottles. It fits well into your hand and can be put on the bottleneck safely and centrically, due to the built-in guide entering the cork in center. The hardened and coated screw can be inserted easily. 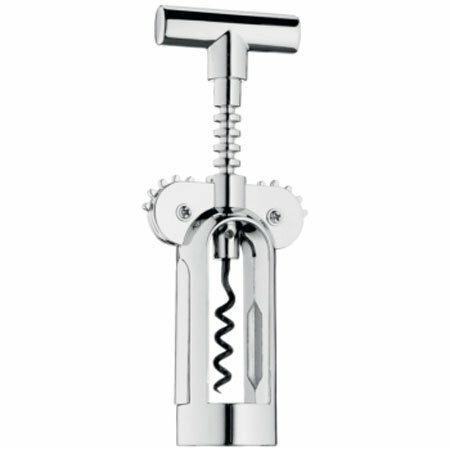 Made of chromium plated stainless steel with a polished finish, this corkscrew is a handsome wine tool for the bar. If you have any questions about this product by WMF, contact us by completing and submitting the form below. If you are looking for a specif part number, please include it with your message.